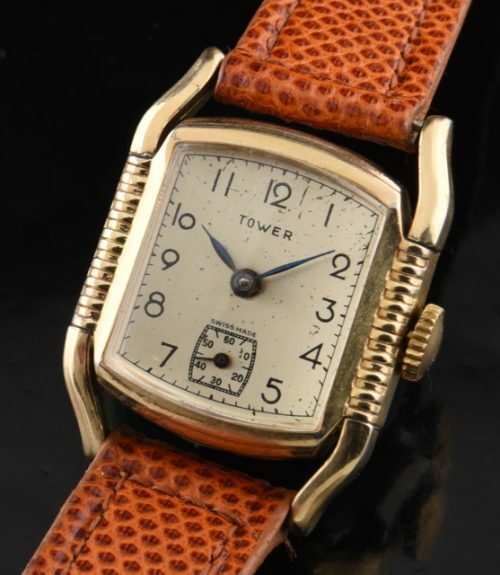 This is a men’s small vintage 1950’s SWISS manual winding watch made by TOWER watch company. The gold filled case with steel back measures 26×34.5mm. This manual winding movement was just cleaned and is accurate. The dial is original with attractive ageing. 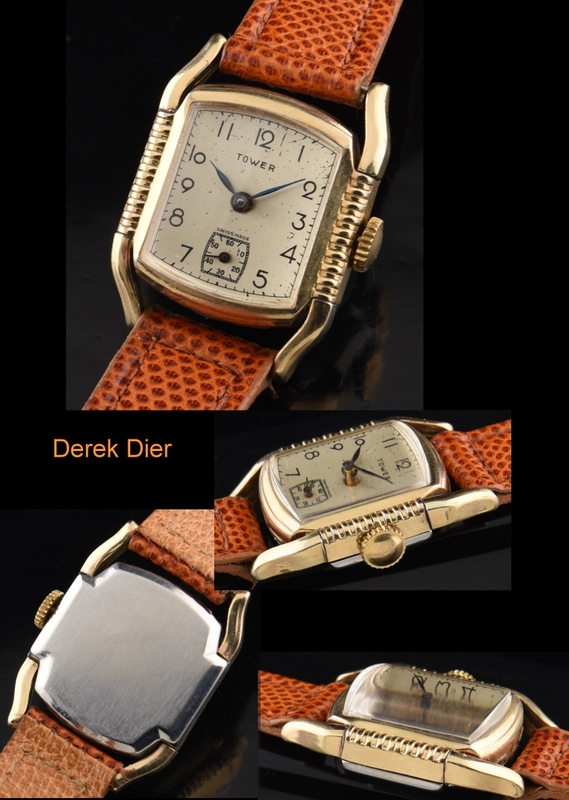 This watch is ideal for a lady as well. I’m selling this very low-to move fast.